There surely is one for everyone as Jeep shows off the Wrangler Dragon Concept specifically for the Chinese market at the 2012 Beijing Auto Show. China has grown to be one the biggest automotive markets in recent times and over the years manufacturers have acknowledged that fact and shown gratitude by bringing out special editions for the most populated country on the planet. 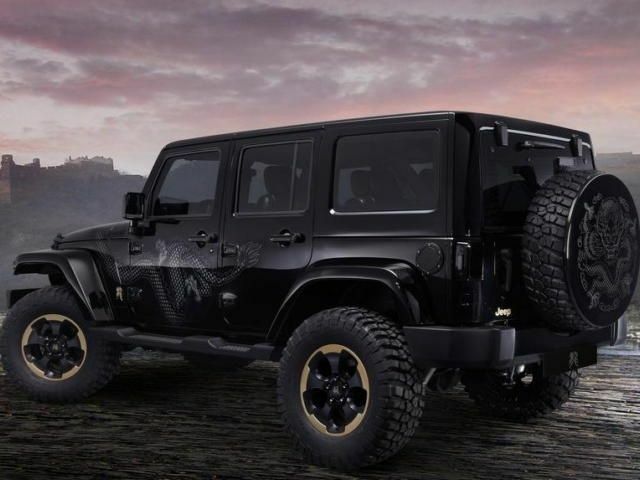 Jeep has just joined that list with the superiorly attractive and perfectly Oriental Wrangler Dragon Concept – a creation that celebrates the Year of the Dragon according to the Chinese calendar. Essentially, this concept is based on a China-market Wrangler painted black with a body-coloured three-piece hard top. Embellishing the base tone is a barrage of bronze-gold details including a tone-on-tone dragon decal that starts on the hood and runs down the driver's side of the vehicle – paint jobs don’t get much cooler than that! There is also a dragon motif on a unique carbon-fiber insulator mounted under the hood and on the gloss-black spare tyre cover. 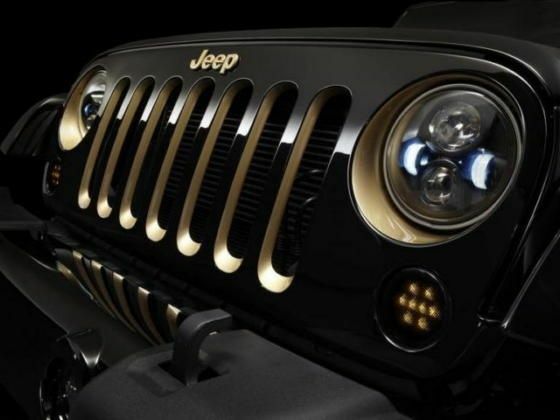 Mopar, the performance arm for Chrysler has lent its touch too with a custom fuel-filler door and a blacked out LED exterior lighting package that features aftermarket projector headlamps, fog lamps, turn lamps and tail lamps. Unique 18-inch five-spoke alloy wheels are matte black with a bronze-gold outer edge and feature 35-inch off-road rubber. Other bronze-gold touches include a pad-printed engine cover, and a Chinese dragon character side badge. The black and bronze-gold theme continues inside with black leather seats and regal bronze-gold accent piping and stitching. Magic Wand metallic leather is on the side bolsters and the sides of the head restraints, while a laser-etched dragon pattern is on the face of the head restraints. 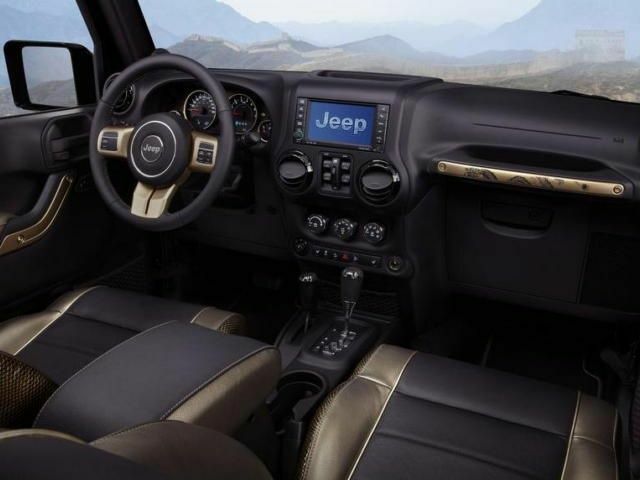 Other interior touches include high-gloss piano black instrument panel bezels, bronze-gold accent trim on the steering wheel spokes, the instrument cluster, passenger-side dashboard grab handle and door handles as well as dragon tags on the front and rear floor mats. Really cool design... not quite for me but wow, really appreciate it though. I really appreciate the design that this car has made. I am sure it is very comfortable when you are inside. This must have a powerful engine inside. Very Impressive! mind blowing concept i like this car design specially its interior and LED exterior lightening. Very nice & impressive article you have posted.. Wonderful post, It is really not difficult to study your blog.. I have found good information in your blog..